What Is Online Auction Monitoring And Why Do You Need It? Here at MA Security, we’re more than just a provider of security personnel, in addition we also offer a number of specialised security solutions. One of those is online auction monitoring. Online auction fraud is among the most common cases of cybercrime reported in Australia each year. In fact since 2012, it’s reported that there has been a 65% increase with the average person losing somewhere between $100 and $500. Collectively this amounts to something over $93 million. However the Australian Competition and Consumer Commission (ACCC) suggest that this is simply the tip of the iceberg, as many more are too embarrassed to report crimes of this nature. However perhaps the biggest losers in this type of fraudulent activity are the retailers. For example if someone’s card is misappropriated, their information has been compromised and that information is picked up by a criminal, they will often use it to shop for products online. 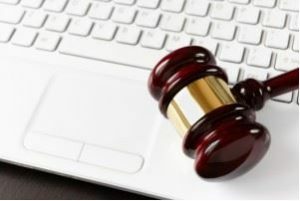 For this reason many companies including some of the largest online auction sites such as eBay, Gumtree, and Etsy are hiring specialist security services to monitor their online auction sites to keep a watchful eye on what is known as rogue activity. So how can you as an individual protect yourself from online auction fraud? Make sure you read the website terms and conditions, particularly with attention to dispute resolution. Only buy from reputable traders with a history of positive feedback. Internet auction sites are still very popular and are a great way to bag yourself a bargain or that must have item you’ve been looking for. So by individuals being shopping savvy and retailers being more security aware about where their goods are going and who their buyer is, it’s possible to have a better, safer experience all round. For further information about our online auction monitoring service, why not talk to one of our experienced team today. Call us on 1300 020 406 to find out more.